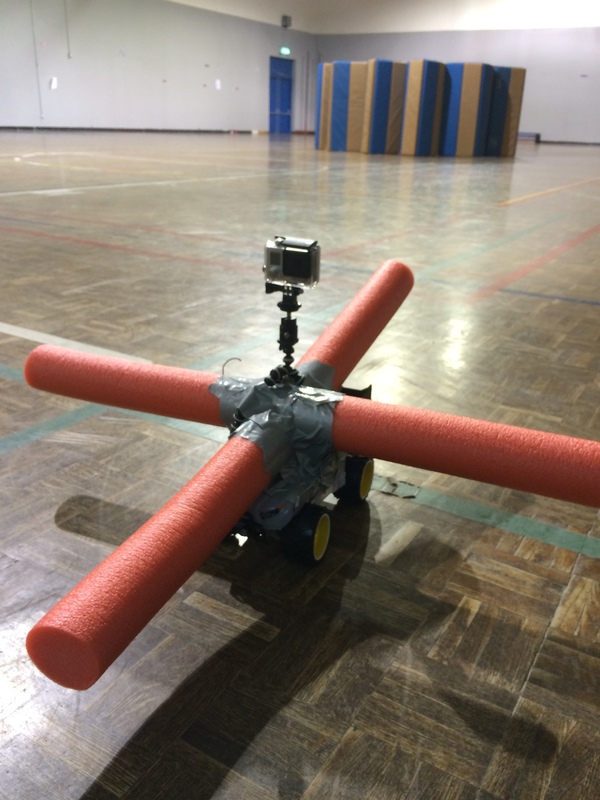 New member in the PE Dept……Robo Tagger! So recently in elementary PE we have had a Star Wars theme, working on teamwork, with various skills. As we team teach all lessons nearly, we take it in turns planning the various lessons. 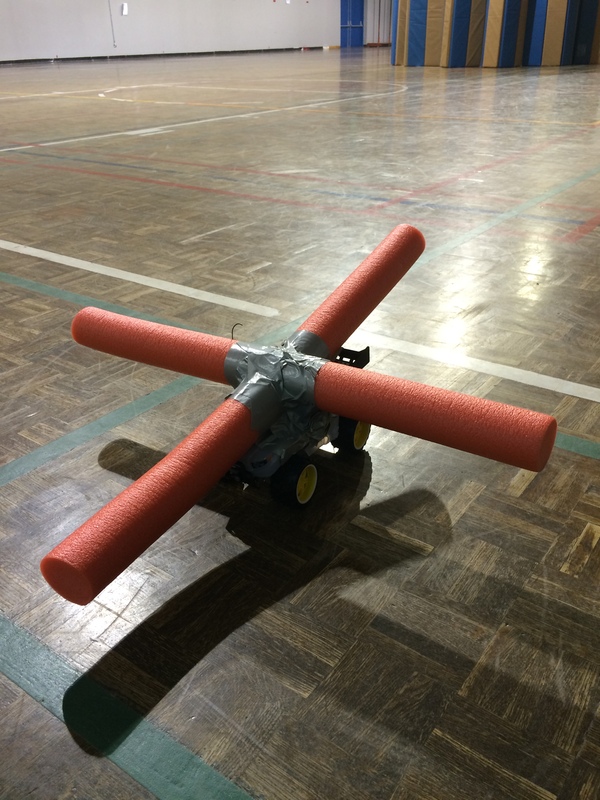 I remember seeing a great article by @physedreview about his ‘Robo Tagger’ (http://physedreview.weebly.com/unusual-pe-equipment.html). If you have not checked out his website, do so he has some great ideas. I thought this would go well with the Star Wars theme. I set out to the mall to find a RC car, Pool Noodle and some duck tape. A little DIY to the car and out came the new addition to the PE department. That night I was looking for Star Wars music on youtube to use, and stumbled across a video on Drones. As I was leaving the house this morning I thought how cool would it be if we attached the Go Pro to the Tagger. and a combination of the both proved a great lesson. Anyway check out @physedreview website and here is a short video of todays action. That’s really cool! Lot’s like the kids had a blast.